Dr. Guernsey is pleased to be your resource for quality general and family dentistry. We are passionate about helping our patients maintain bright, healthy smiles for years to come. Call our team today to learn about our services and to schedule our next appointment with our caring dentist. Do you wish your smile was straighter, brighter, or more attractive? 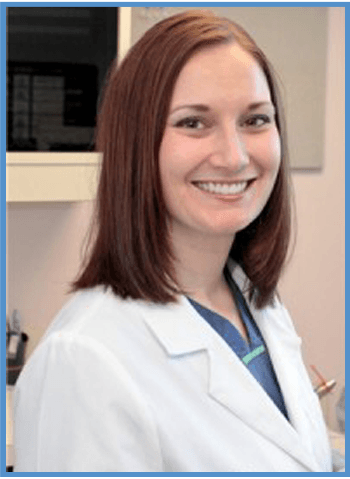 Dr. Guernsey has been helping our patients enhance their smiles for years with our comprehensive cosmetic services. Interested in Invisalign®? Teeth whitening? Call our office today to learn more about our quality services. If your smile has been damaged, please consider our quality restorative treatment options. Dr. Guernsey and our team can help you restore function and beauty to your smile with crowns, dentures, a dental bridge, or one of our other treatments. We are excited to improve your smile! At North Shore Family Dentistry, your health, your comfort, and your smile are our top priority. When you visit our office, our entire staff works hard to help you have a positive experience while your smile receives the service it deserves. Dr. Guernsey has years of experience helping our patients reach their goals with our gentle, quality dentistry. Whatever your needs and goals, we are eager to accommodate you! Whether you need a routine dental cleaning and exam, or you are interested in improving your smile with one of our cosmetic options, or you need restorative care to improve your smile, we will help you receive the individualized care you need. We look forward to welcoming your entire family to our office! Contact our team today to learn more about our comprehensive services and to schedule your next appointment with our caring dentist in Stoneham, Massachusetts. Copyright 2019 © North Shore Family Dentistry. All rights reserved.